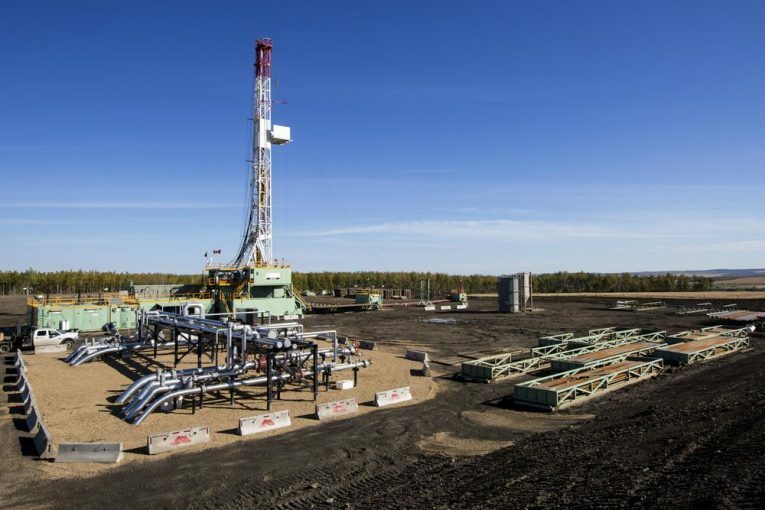 Canadian natural gas producers, locked in a fierce battle for market share with U.S. shale, may stage a modest recovery as output from some longtime producers wanes and pipeline maintenance ends. While Canadian gas will almost always trade for less than U.S. gas — due mostly to the cost of moving the fuel to markets in Texas and the American Midwest — the discount recently widened to the most since 2005. The culprits are prolific new wells that are hard to shut off, along with outages on a network of pipelines that move gas around Alberta. But with the pipeline repairs that caused those disruptions mostly completed and producers like Royal Dutch Shell Plc and Petroliam Nasional Bhd’s Canadian unit dialing back on output in British Columbia, the glut of Canadian gas may ease. Higher prices would be a boon for Canadian producers that have been forced to cut costs and seek new outlets in the face of escalating competition from the U.S. shale gas boom. Canadian gas, which is tracked using benchmark Alberta Energy Company prices — AECO for short — traded at $2.70 per million British thermal units less than the U.S. benchmark Henry Hub gas price on Tuesday, the steepest discount since December 2005. It narrowed to $1.33 on Wednesday. The spread has been especially volatile for the past two and a half months because of outages on TransCanada Corp.’s NGTL system in Alberta. The pipeline company has been working on a $1.3 billion upgrade, including the addition of compressor stations to increase capacity. That project, which is nearing completion, will increase the capacity of the northwest portion by about 700 million cubic feet a day, the Calgary-based company said in an emailed statement. Many sections are completed and operating again, and others will be back in service this month. The work hurt Canadian prices because many producers weren’t able to stop output, McCrea said. For some, the cost of shutting down and reactivating fields would have been more burdensome than taking a short-term hit. For other wells, a complex ownership structure and varying types of contracts with pipeline companies kept them producing even if one partner would have preferred to stop. That pressure could be easing soon. Aside from the end of TransCanada’s maintenance, the decision by Petronas to not move forward with its proposed $27 billion liquefied natural gas project in British Columbia likely means the company won’t increase production in the province much, McCrea said. Other traditional British Columbia producers like Shell and Canadian Natural Resources Ltd. also have shifted their attention elsewhere, he said. Output may stall at producers in Alberta, who are trimming second-half capital-spending budgets as they wait for prices to improve. To be sure, a warmer-than-expected winter could reduce demand for Canadian gas, keeping a lid on prices. TransCanada also has additional work it will do on the NGTL system in the next two years, as well as a $2 billion expansion program that will add more capacity through 2021. Still, Canadian producers may start to garner better prices for their gas by working out contracts directly with the companies shipping LNG off the southern coast of the U.S., instead of going through intermediaries, said Tim Pickering, founder and chief investment officer of Auspice Capital Advisors Ltd. in Calgary. The longer-term opportunity for Canadian gas spurred Pickering’s firm to create an exchange-traded fund based on AECO prices. “Anything we see that allows gas to flow out of the province, any capacity that’s freed up, any incremental pipeline capacity that’s made available, that will narrow the spread,” he said.